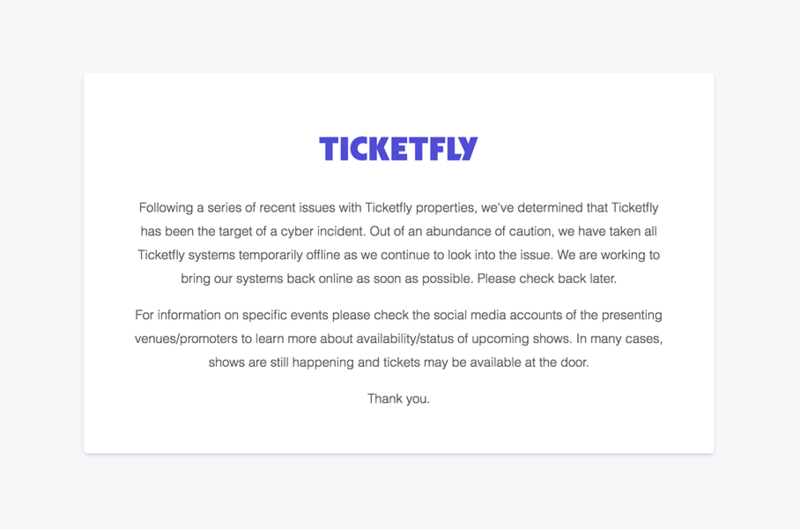 Ticketing service Ticketfly recently shut down its website — as well as the sites of certain music venues that use the service — after it determined that it had been the victim of a "cyber incident." Websites of concert venues around the country, including South Burlington nightclub Higher Ground, are currently offline. Following a series of recent issues with Ticketfly properties, we've determined that Ticketfly has been the target of a cyber incident. Out of an abundance of caution, we have taken all Ticketfly systems temporarily offline as we continue to look into the issue. We are working to bring our systems back online as soon as possible. Please check back later. You may have noticed that our website is down. Our ticketing company Ticketfly is working dilligently to get it back up and running. The issue has affected the entirety of Ticketfly affiliated organizations. As Billboard reports, a hacker known as "IsHaKdZ" replaced Ticketfly's home page with an image of Guy Fawkes and messages that read "Your Security Down im [sic] Not Sorry" and "Next time I will publish database 'backstage.'" It's currently unclear whether or not client and/or customer data has been breached. A spokesperson for Ticketfly told the Verge on Thursday that "security of client and customer data is our top priority. We are working tirelessly, and in coordination with leading third-party forensic experts, to get our clients back up and running." 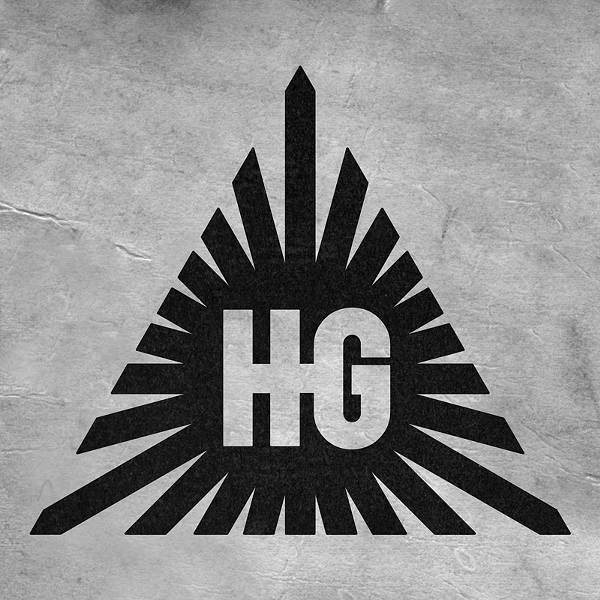 Though unclear where and when the hack originated, Higher Ground's website has been disrupted at least since late afternoon Wednesday. Websites of other venues in the area that use Ticketfly, such as Nectar's and Club Metronome, were also affected. Though still up and running, online sales are unavailable at those sites. Representatives from Higher Ground urge patrons to follow its social media channels for further updates. In addition to online sales being down, tickets are not currently available for purchase at the nightclub's box office. Ticket holders for imminent show dates who opted to purchase e-tickets are strongly encouraged bring confirmation emails with them to ensure entry.